Stop grabbing life by the balls! How many new years resolutions have you stuck to? If you start out with drastic, unrealistic changes and stupendous goals you'll probably find it impossible to stay on track. Last year I read Quiet: The Power of Introverts in a World That Can't Stop Talking and learned not to be distracted by bravado and bluster. 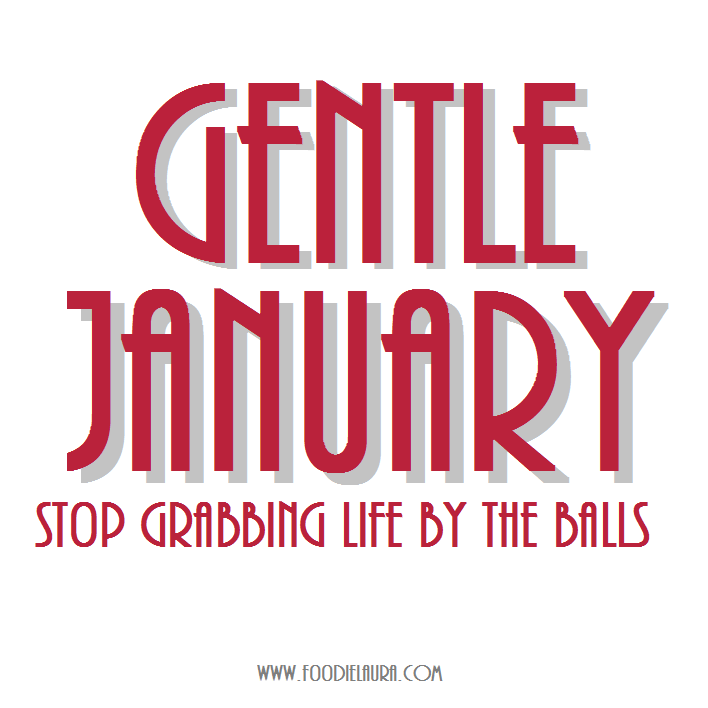 Bold claims and fanfare of grabbing life by the balls sounds great but what does that even mean? There is far greater power in habit and consistency. Don't under estimate the determination of a quiet persistent river. You should be thinking of a gentle river that carved it's way through rock instead of a sledge hammer that turned everything to dust. You don't have to change the world to be happy, you've already got everything you need to live a content life filled with smiles. I'm going to show you how to love what you already are and be more than satisfied with it. Inspired by the YouTube series How To Be Happy January, this month I'm discussing happiness, how to create it and the power of positivity. 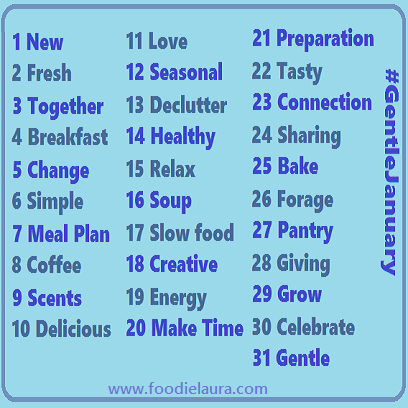 This list of daily Instagram prompts compliments the Gentle January series and will help you focus in on making happiness a habit. Use the hastag #GentleJanuary and I'll be sure to check out all of your posts. Next week we'll look at what happiness really means, in the meantime here's a little homework task. Think about what happiness means to you.